Arts Warehouse is THE place for artists to get started, get inspired, and get to know the creative community. We want you to meet other artists, learn, and reach the next level in your creativity! Not only does membership get you discounts and access to AW’s programs, events, members-only exhibits and artist forums, it also supports AW’s work as a hub for creativity in the Delray Beach and South Florida! Your contribution allows AW to launch artists’ careers, and inform, empower, and inspire creative people to make a difference in their communities! Membership is non-juried and artists are immediately part of AW’s vast network of artists, educators, patrons, and community leaders. Exclusive members-only programming and networking events. Members can meet with AW staff to review your resume, artist’s statement, or give you advice about presentation and your portfolio. AW offers low-cost and free learning experiences; members get to register for first at reduced rates for designated programs. Topics include preparing and applying for artist’s opportunities, networking, and marketing and more. Artist Groups – Currently, there is 1 artists group that meets once a month (All Media and all levels). This group offers opportunities for peer review & support, and is free for members. Free attendance or reduced cost to events, special programs and artists’ groups. 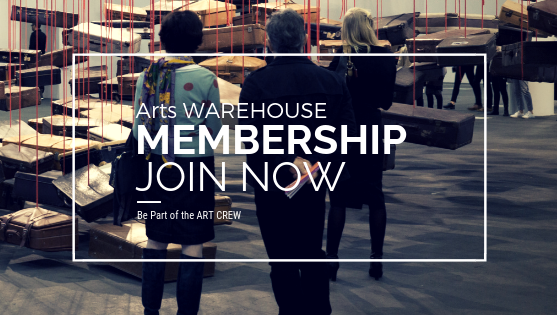 Our three-tiered membership levels are designed to suit artists + supporters of all kinds! Now anyone can join AW starting at just $25 a year! All the benefits of Level 2 but for two people residing in the same household.